Have you spent all summer relaxing by the pool? Just getting back from vacation? Having a hard time settling down to the ‘back to school’ fall schedule? Now’s the time to get back to your fitness goals and Cal Fit wants to help! 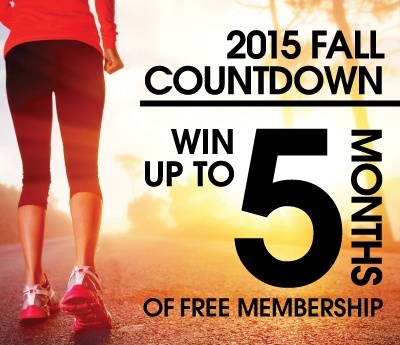 It’s our Countdown to Fall Fitness Fun! Enter our Fall giveaway today and win one of 5 California Family Fitness membership prizes! We’re giving away a 1-month, 2-month, 3-month, 4-month and a 5-month Cal Fit membership. Enter to win today! If prize winner or friend is already a current California Family Fitness member, his or her account will receive an individual membership credit equal to months of membership won. Read the Official Rules.